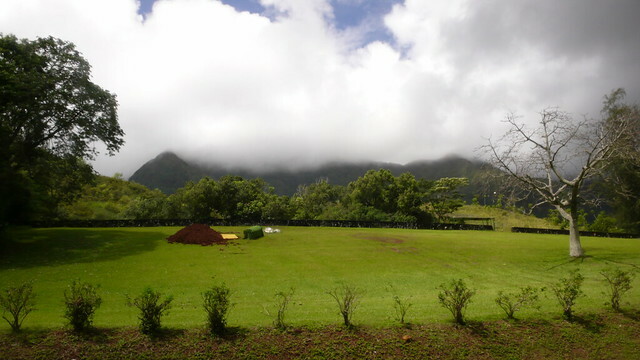 WE WERE on the road in Hawaii a few years ago, enjoying the scenery, when I spotted this clump of deep red earth against the greenery and a long shrouded box beside it. Was someone about to be buried there, or was I just imagining the kind of pleasant passing we all hope for? This entry was posted in America, Family & Me, Photography, Travel and tagged death, Hawaii, landscape by penmanila. Bookmark the permalink.